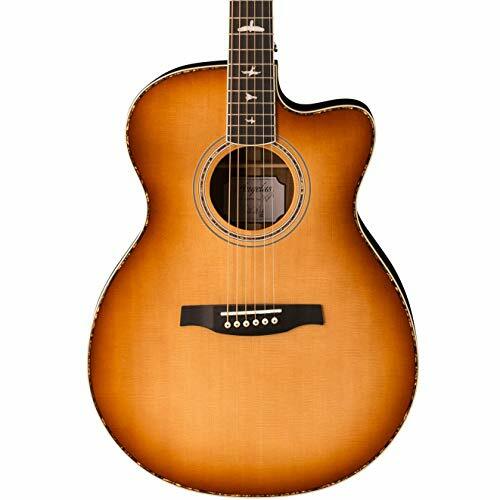 Keith Urban 50-piece Deluxe PLAYER Acoustic-Electric Guitar Package Brazilian Burst. 30 in 30 days? No, it’s not the latest fad diet; it’s your musician’s resolution. Keith personally teaches you 30 classic songs in a month, and you’re going to LOVE playing them on this sweet guitar. It has it all. Keith-approved features. Gorgeous, star-quality finishes. Everything you need to start making music. Are you ready to be a Player? 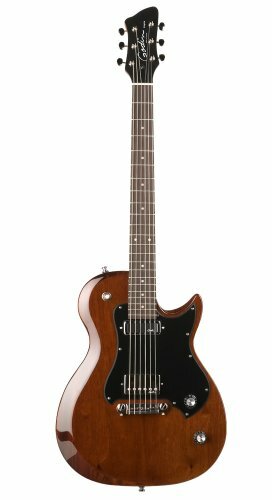 What You Get: Keith Urban Deluxe Player guitar. 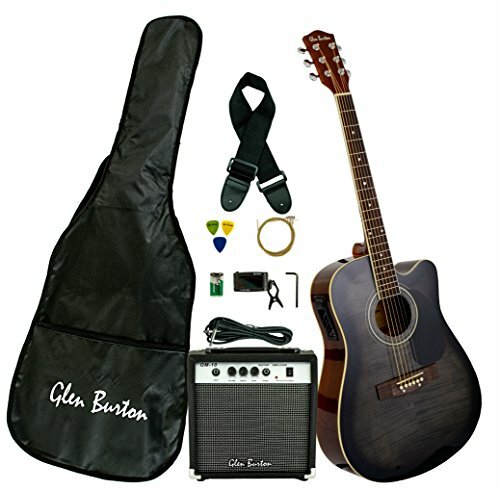 Soft padded cognac distressed faux leather guitar case. Keith Urban 15-watt guitar amplifier. 9′ guitar cable. 1/8″ double-male audio jack for amplifier. Urban polishing cloth. 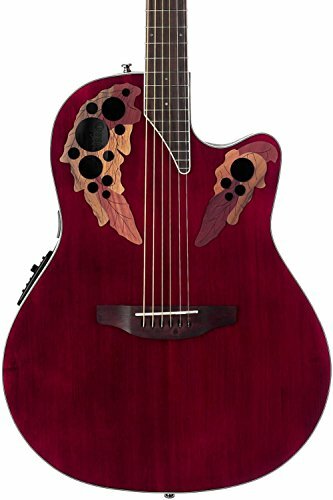 58″ adjustable guitar strap with Urban icon. 5 Keith Urban guitar picks. Set of replacement Keith Urban coated guitar strings. Allen key for neck adjustment. Chord chart poster. Metal capo. 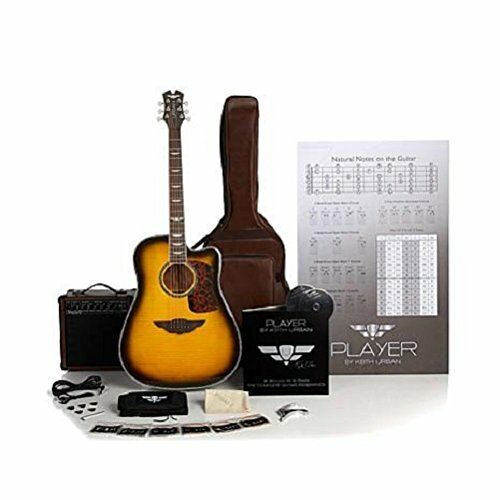 Player by Keith Urban 30 Songs in 30 Days: The Complete Guitar Experience 30-disc DVD lesson set. Orientation: Right-Handed (Standard). Guitar Measurements: Approx. 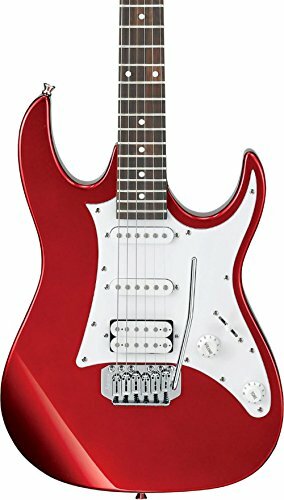 41″ L x 15 3/4″ W x 4 3/4″ H. Guitar Weight: Approx. 4.6 lbs. Amplifier Measurements: Approx. 11″ W x 11″ H x 6 1/2″ Deep. Material Composition: Wood, metal, plastic and electrical components. Strings: 12-gauge bronze-wound steel. Battery: Guitar requires (1) 9-volt battery, not included. 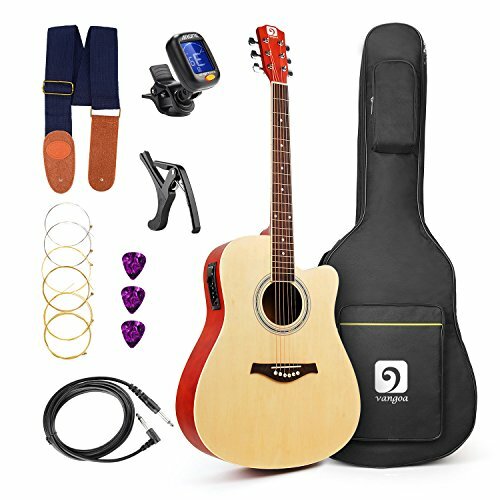 Includes: 41″ acoustic guitar, leather guitar case, 15-watt guitar amplifier, 9′ guitar cable, 1/8″ double-male audio jack for amplifier, Polishing cloth, adjustable guitar strap, guitar picks, guitar strings, Allen key, Chord chart poster, and capo.